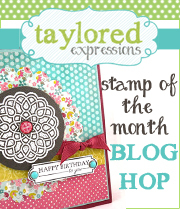 Oodabug Alley: Taylored Expressions Stamp of the Month!! 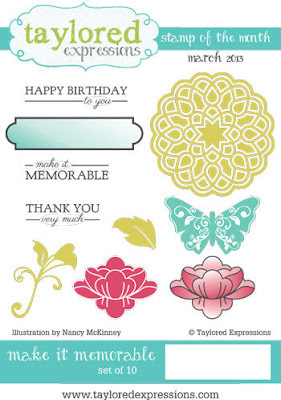 Taylored Expressions Stamp of the Month!! 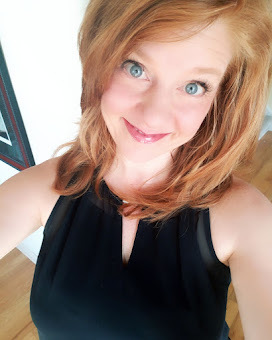 Hello and thanks for checking in this morning! You've heard me talk about the Key Ingredients Subscription at TE and you know how much I LOVE it, right? I just LOVE having new paper collections and coordinating products show up at my door each month. Well, did you know that Taylored Expressions has added two more subscription options? Yep! Today we are debuting the new Stamp of the Month Club!! A subscription to have a new stamp set shipped directly to your door each month. Stamp sets are exclusive to subscribers. The stamp set will coordinate with the patterned paper in the Key Ingredients Subscription for those who subscribe to both, and stamps are made from the same deeply etched red rubber everyone loves and come on a sturdy 4" x 6" storage panel. The Stamp of the Month Club can be purchased for a monthly charge of $20 (U.S.), $22 (Canada), $24 (other countries) which includes shipping. The third subscription option is the Deluxe Key Ingredients Club, and that is to receive both the Key Ingredients AND the Stamp of the Month at a reduced price. How exciting is that?!! I'll bet you think it's very exciting. . .especially when you see the first set!! Isn't that a must have? I just LOVE this first set, called Make It Memorable. 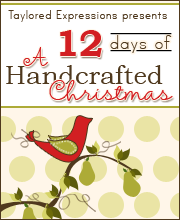 There are also coordinating dies that are available for purchase separately. NOTE: The coordinating dies ARE NOT part of the subscription. I created a card using Make It Memorable and the March Key Ingredients. I just LOVE the soft colors in the patterned paper. I stamped the medallion image in the center of a piece I die cut with the Layering Doily Die Medium. Then I arranged the flower, butterfly and sentiment panel on top of the medallion. Very pretty, gorgeous color combo! Fabulous card! love the great background and soft Spring colors! Yes, very soft and beautiful! Thanks for the chance to win! so very soft and pretty... this stamp set is so lovely! So gorgeous!! I love the soft colors you used! This is a great kit! Wow, this is amazing! The coordinating colors are stunning! Simply kismet this set and your card! Love, love, love every inch of it. These colors are just beautiful together. Gorgeous card! I love your colors and papers. Pretty pastel card! Love this stamp set! Very pretty! Love the soft colors! Lovely soft colors. Very pretty. SWEEEEETTTTT!!! Love the pretty soft colors! What a terrific card! I love the pastel colors! Beautiful card. Beautiful, soft colors. LOVE the two step flower and soft sweetness of this set, and the papers are SO pretty!!! Gorgeous card! I really think this card is pretty and love the colors you have chosen. Very nice. I love this stamp set. Your card is beautiful...love the soft color choices. What an elegant card. Lovely! So soft & pretty! Love it! The background paper looks so pretty with the stamp. I like your choices. WOW- your card is precious. Love the colors and how they match the paper. So very pretty - love it! Wow, how pretty. Love this whole March package. The papers go so well with the new SOTM! Pretty card. I love the idea of a Stamp of the Month! Can't wait to join. Oh, how pretty Charmaine. Love the way you used the lovely colors and images. Love the soft spring colours. Love your colors! I think I need the coordinating die. 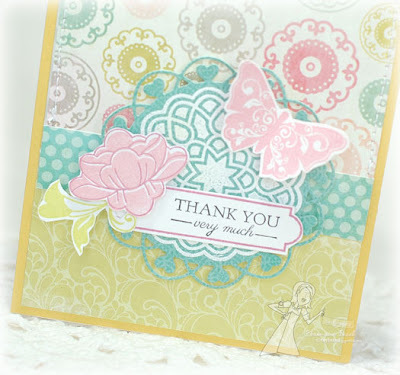 this is a treat to the eyes...I love the soft colors and the flower stamp. This is such a beautiful card. The colors are soft and pretty. Very soft and feminine card Charmaine! I love the color combo! Love those layers and your soft color choices, Charmaine! So soft and lovely, Charmaine! Love the elements you added around the medallion! You rocked the soft colors, Charmaine! This is simply gorgeous! So soft and sweet and pretty, gorgeous colors and loving that stamp set! Such a beautiful card...love the colors and patterned paper!This is a great stamp set! wow gorgeous card! Love the colors together and I really love the die you stamped on! This is so pretty! I love the soft colors and the little butterflies. I too love the softness of your card. it is very pretty. So delicate and pretty. LOVE IT!! Like your soft colors. So pleasing to the eye! And nicely done! Beautiful card I love the colors. I like the pastel colors in your card! Very nice! Such a soft, pretty card. I live pastels and the butterfly and flower are so lovely.